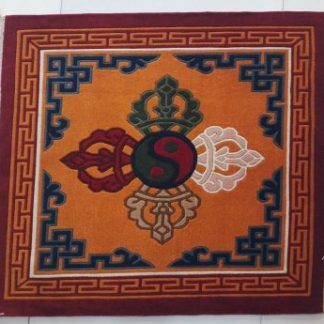 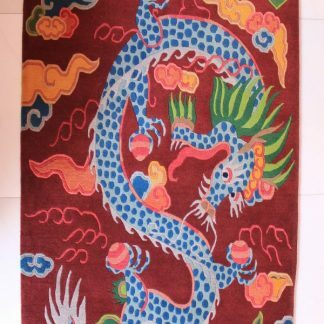 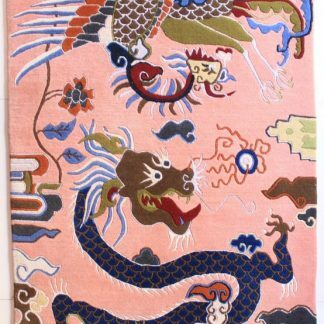 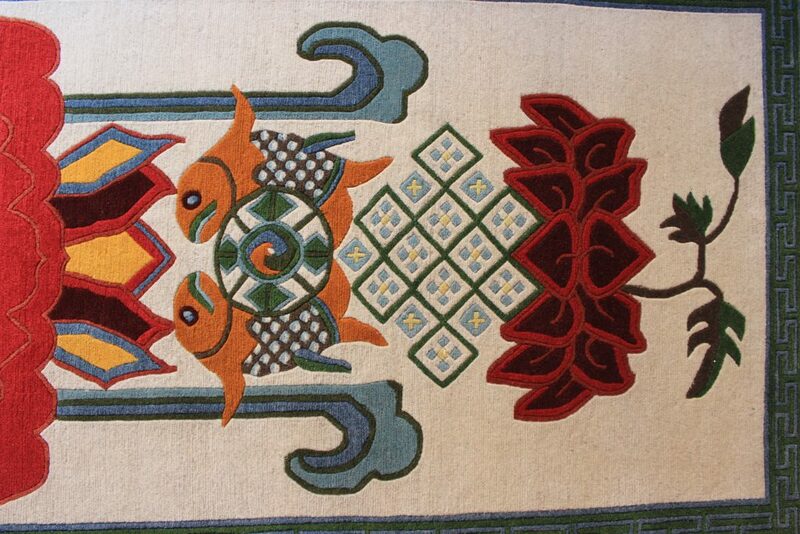 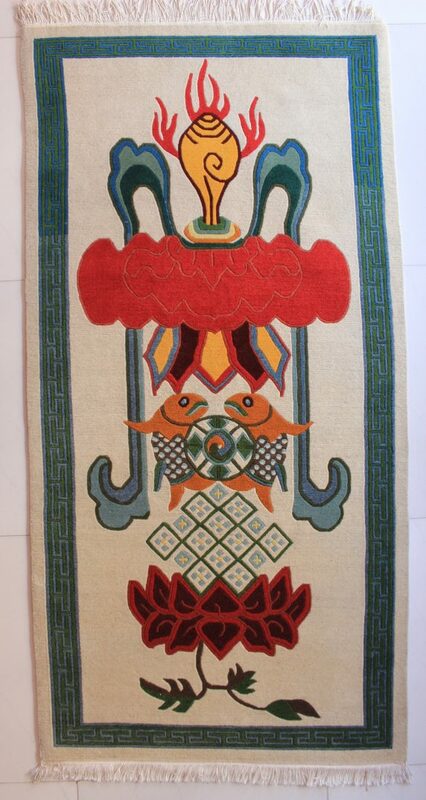 Tibetan Rug Eight Auspicious Symbol Carpet is handmade in Nepal by Tibetan and Nepalese artisans. 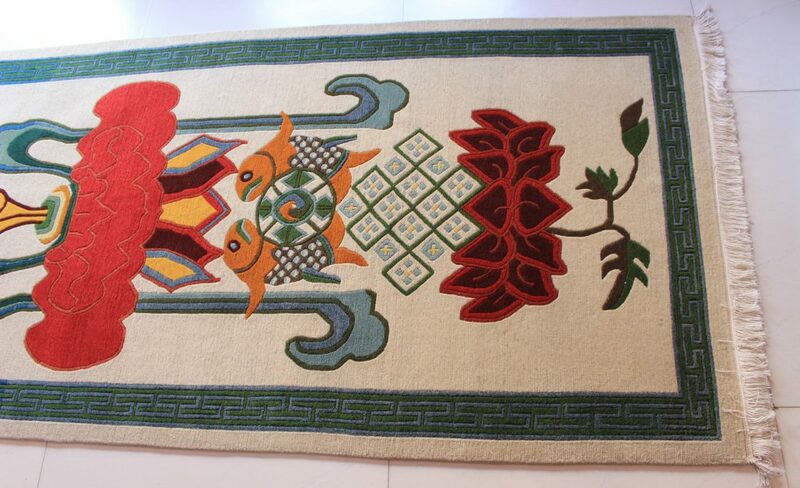 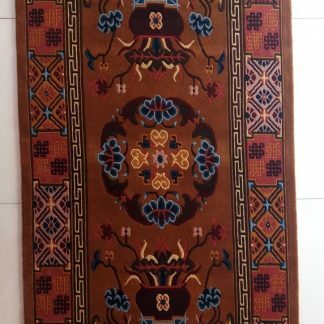 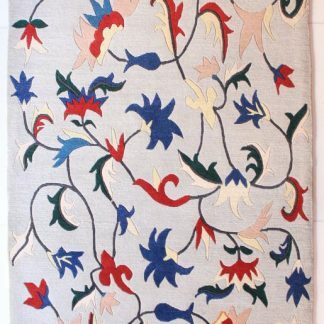 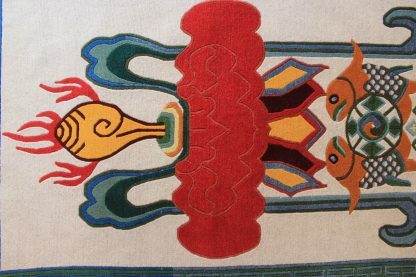 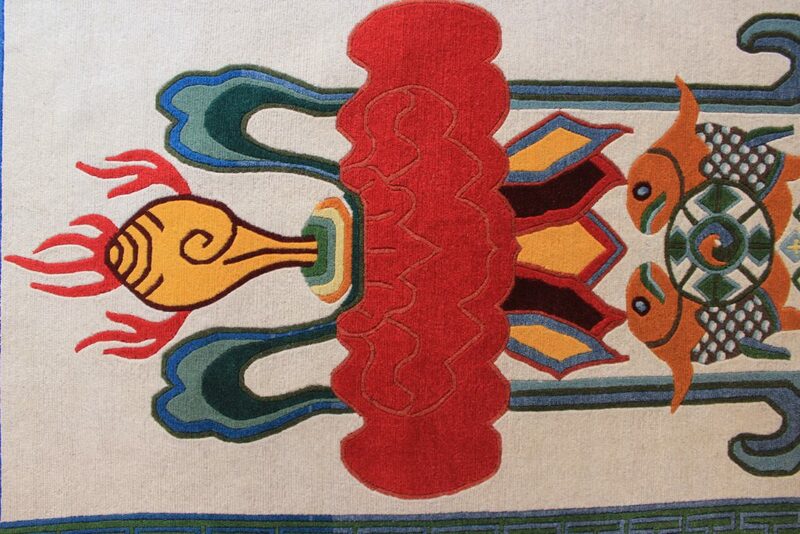 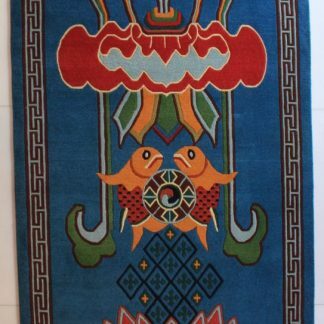 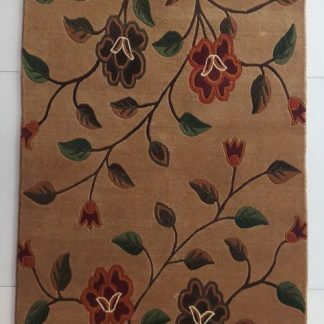 These Tibetan carpets are made of 100% organic wool. 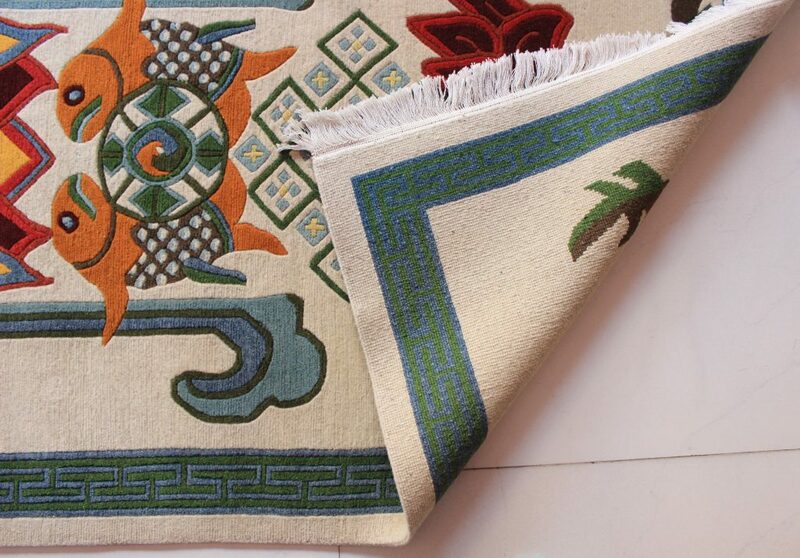 And the quality is the highest quality with 100 knots/inch. It takes at least 2 months to make since they are hand-knotted by artisans.